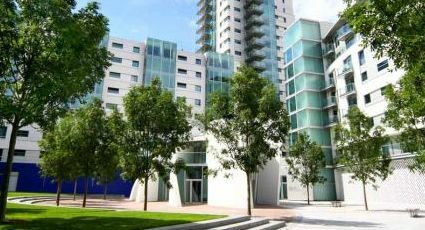 An ideal solution is available for corporate travellers looking for somewhere in the heart of Canary Wharf. With top-quality accommodation at an affordable price and with over 650 luxury serviced apartments to choose from these serviced apartments are sure not to disappoint. Many of London's premier attractions are a guaranteed short stroll away and with the London Underground or National Rail transport links also nearby. Centrally situated in Canary Wharf, these luxury serviced apartments are strategically located within a premier development near the O2 entertainment complex. This financial and commercial district is an energetic hub of shops, restaurants, pubs and wine bars. An extensive programme of arts, entertainment and events is complemented by superb healthcare and leisure facilities. The West End can be easily reached too by hopping on the nearby Tube. Canary Wharf tube station is a few moments away providing Jubilee line services, also nearby is the Canary Wharf pier where guests can access Thames Clipper services for a more scenic public transport experience.